Perceived strength of the brand far more important to an airline's long-term future than the immediate post-disaster PR response, says data expert. What can data teach PR when it comes to dealing with airline disasters? According to Bryan Melmed, senior director of insights services at advertising intelligence firm Exponential, the answer is a hell of a lot. Speaking to PRWeek in Singapore, he revealed his team had trawled through 400 hours of research and data from consumer responses to recent airline disasters. These included Air France flight 447, which crashed into the Atlantic Ocean in June 2009; Malaysia Airlines flight 370, which disappeared enroute to Beijing in March 2014; The same airline's flight 17, which was shot down over Ukraine in July 2014; Air Asia flight 8501, which crashed into the Java Sea in December last year; and Germanwings flight 9525, which was deliberately crashed by co-pilot Andreas Lubitz this March. "It was very important for us to try and understand the psychology of the consumer and why people were more nervous about air travel after a disaster than before when, realistically and statistically, there was no change in the liklihood of another one happening," said Melmed. "We looked at how people perceive threats, and that tied in very nicely with our core knowledge of how peoples’ characteristics and propensities affect the way they act and respond." 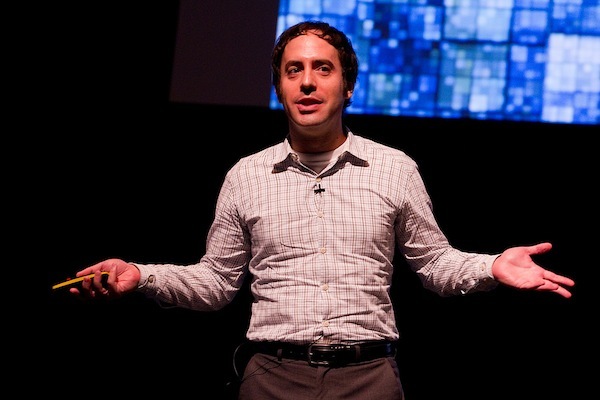 Melmed (pictured above) believes the research provides some key pointers for the communications strategies of airlines both pre and post a disaster. "A huge factor and the best insurance against a disaster is being a strong and trusted brand in the lead up to it. There are many studies that show the before is actually far more important than what happens in the six hours to two weeks after a disaster." "If you look at the reactions to the instances we studied, loyal customers were far less reactive than the consensus. 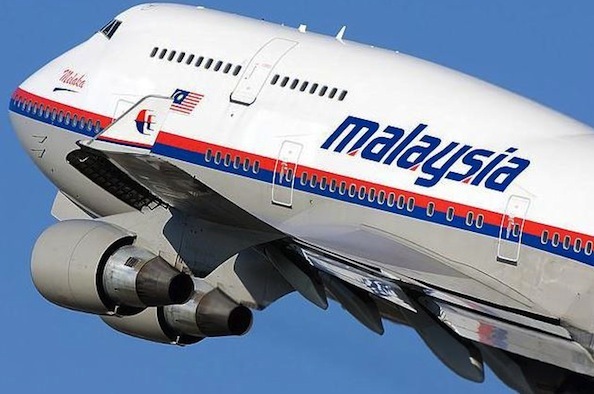 Specifically with Malaysia Airlines, there is a perception that the brand has been damaged irreparably, but those who frequently travelled with the airline are only marginally less inclined to do so now. A lot of the people who are the most vocal against the company were not good customers to begin with." 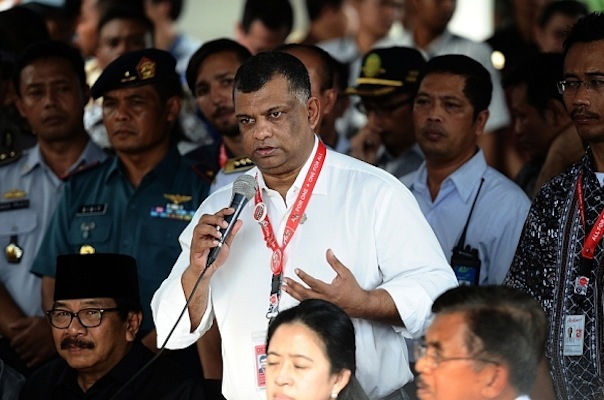 "Air Asia CEO Tony Fernandes [pictured below] was at the airport immediately and showed a compassion that was impossible to fake, while Germanwings and Lufthansa are credited with getting information out quickly. Both are viewed as doing a pretty good job. We see, however, there is far too much attention paid to the company response. In the long-term, from a consumer perspective, it is the strength of the brand that is more important." "Those who work with what we term the left brain—like mathematics, accounting and statistics—are fairly unaffected and are much more likely to return to an airline than those who use the right side of the brain in creative industries. Our data shows these people are far less likely to return to Malaysia Airlines, or even to return to air travel at all. "Also, if you look at how tolerant societies are of risk, the three least tolerant are Singapore, Malaysia and China. The US, UK and Australia are somewhere in the middle. Therefore, we would advise Malaysian Airlines to focus on the Australian market because people there are far more likely to travel with them than those in China. "There is also a cultural component. Societies in Asia will tend to blame the organization as a whole, even in the case of the GermanWings disaster, while in the west the blame was directed at the individual." 5) Successful brands do not hit the same message time and time again, and this applies after a disaster too. "Despite the differences in responses among consumers, [In these cases] no one seemed to take this into account and leverage it when trying to recover from a disaster. Segmenting the messages to different types of customers should be increasingly relied on as soon as possible because only 20 percent of people will make a decision based on safety. After all, it wasn’t just these two incidents that proved there was something structurally wrong with Malaysia Airlines." "When it comes to the cognitive and financial impacts of a crash, one of the most important factors is whether the logo is present at the crash site. 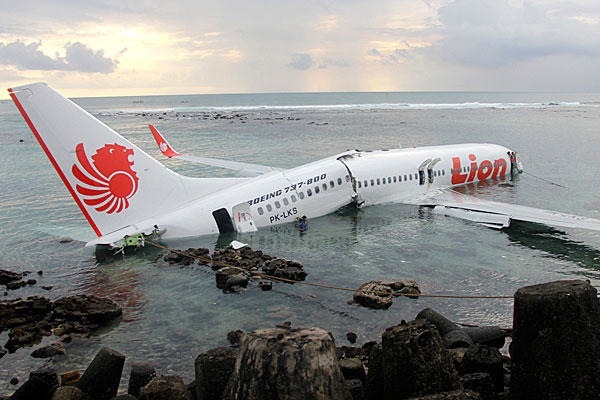 A few years ago there was Lion Air crash at Bali (pictured above) where most of the people survived, but the plane was intact and the logo was clearly visible. For consumers who knew very little about the airline, that had a bigger impact than a non-branded disaster. "From a PR perspective, this should guide the post-event response too. 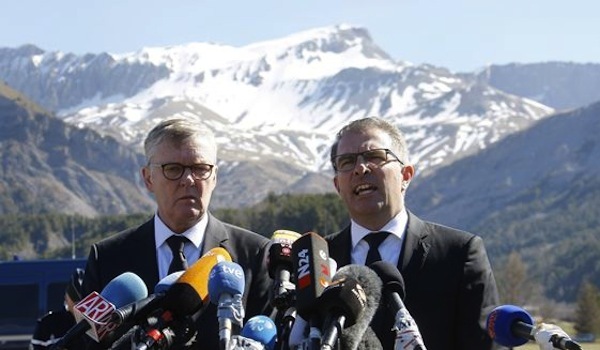 Take the Germanwings/Lufthansa press conference after their crash (pictured below) there was no branding, it was outside and the mountains were the backdrop." "For air incidents, it takes around three years for more than 90 percent of consumers to be unaffected by an incident. So Air France, for example, is so far back in the memory that it is not really affecting decisions any more. Malaysia Airlines, however, will take longer because it had the two incidents in such a short space of time."